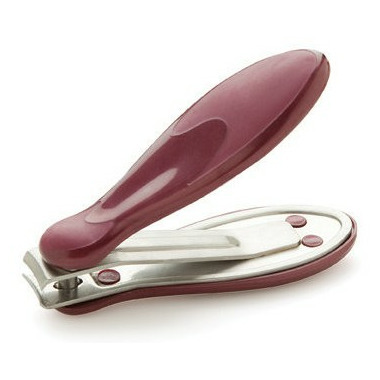 If you are looking for an affordable nail clipper that cuts better, is more comfortable and simply makes cutting your nails easier, then you'll love Denco's Evolution Nail Clipper. The clipper is made of high quality Japanese stainless steel and features sharp, slightly curved blades for the cleanest cut possible. The Evolution design will give you maximum cutting force with minimum pressure so it's easy to squeeze, even for people with arthritis or carpal tunnel syndrome. The large, contoured handle will allow you to hold the clipper in a comfortable position and non-slip pads give you a great grip so you can cut with confidence! Very effective and easy grip, which for my arthritic hands is a must. Good product.